A new announcement coming from NintendoVS tonight has announced the release date for the three new Smash amiibo, pricing, and restocks for past figures. Announcing a figure for Wolf, the twitter account has also announced a release date for the Ridley, Inkling Girl and Wolf amiibo All three will arrive alongside the game on December 7th. All three figures will also retail for a new $15.99 price tag. The final announcement included a restock later this year for past smash amiibo figures. These will retail for the normal $12.99 price tag. 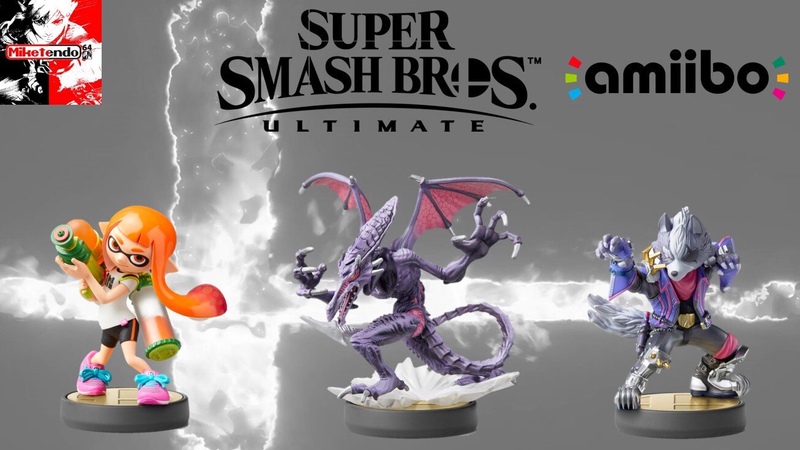 Ridley, Inkling and Wolf amiibo are coming to the Super Smash Bros. series of #amiibo! These amiibo will arrive 12/7 and will retail for $15.99.